Our ExpatCapeTown housing guide shall provide you with all the information you will need to be well prepared for your move to South Africa and enable you to enjoy life in Cape Town. Our housing guide to safe and affordable housing for expatriates is really a must read for everybody thinking of moving to Cape Town or looking to rent or buy property in South Africa. Here you will find answers to any foreigner's typical questions. 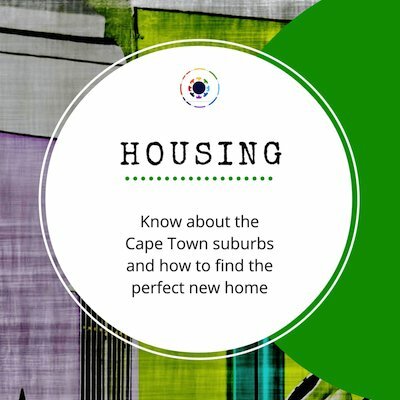 Finding the right home in Cape Town South Africa will be easy after reading through our housing guide. Before we start with an overview about good housing options for expats and foreigners I want to tell you what else you will find in the Expat Cape Town Housing Guide. 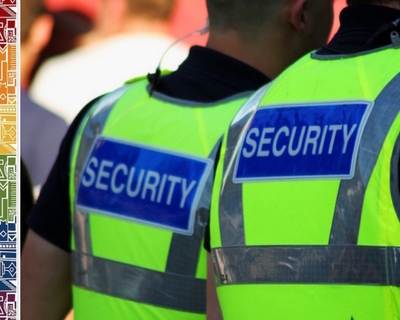 Housing in Cape Town: Living in a Security Estate or not? When you are looking for a suitable home in South Africa, especially in Cape Town, expats are spoilt for choice. Whether you want to rent a house or apartment or even plan to buy your own property, there are plenty of nice and safe areas in and around the Mother City. You will come across many upmarket suburbs where there are all the amenities and luxuries life can offer, but be warned, you will also be confronted harshly with reality. There are so many areas where there are rows on rows of shacks and shanty towns. Often you will find townships popping up next to new housing estates simply due to the fact that upmarket areas also tend to offer many opportunities for work for the many work seekers, who are looking for jobs for (often unskilled) gardening, house- or childminding work. This, however, poses also some security challenges. Therefore you will have to make sure to take the right decision on the location of your new home and should check out the area, preferably with a well renowned estate or rental agent, around your new home carefully. As mentioned, in and around Cape Town, there are many beautiful suburbs with safe housing and up-market gated estates, golf estates, and so-called lifestyle estates which include retirement complexes. These housing estates offer all the facilities you could wish for, like well maintained leisure areas with club houses, gym facilities, swimming pools, lake or waterside running paths, tennis courts, play areas and, as is the case of golf estates, easy access to golf courses and added perks such as golf carts, free or reduced golf club membership and much more. Blouberg: Waves Edge Housing Estate - Properties range from about ZAR2.5 million to ZAR15 million. Long-term rentals available, average ZAR20,000/month. Constantia: Steenberg Golf Estate and Stonehurst Estate - Properties range from about ZAR4 million to ZAR35 million. Long-term rentals available, average ZAR35,000/month. Durbanville: Van Rheebokskloof Estate and Eversdal Heights - Properties range from about ZAR2.5 million to ZAR20 million. Long-term rentals available, average ZAR25,000/month. Hout Bay: Kenrock Estate and Avignon Security Estate - Properties range from about ZAR3.5 million to ZAR25 million - long-term rentals available, average ZAR25,000/month. Melkbosstrand: Atlantic Beach Golf Estate - Properties range from about ZAR2.5 to ZAR25 million. Long-term rentals available, average ZAR25,000/month. 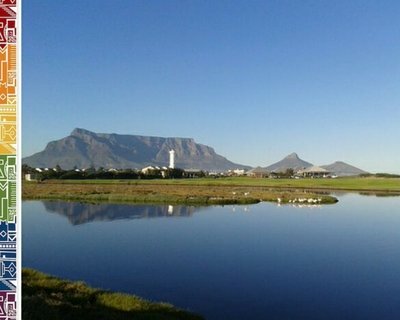 Milnerton: Royal Ascot Estate and Sunset Links Golf Estate - Properties range from about ZAR2.0 million to ZAR35 million. Long-term rentals available, average ZAR20,000/month. Plattekloof: Silwerkloof Estate and Baronetcy Estate (Richmond) - Properties range from about ZAR2.0 to ZAR20 million. Long-term rentals available, average ZAR15,000/month. But you do not have to stay in a gated estate when choosing to live in Cape Town. You will, however, have to decide if you want to live along the coastline, where it often gets more windy or misty, but less hot in summer or whether you prefer living in the center of town and avoid the daily rush-hour traffic or staying in the various northern or southern suburbs. The feel of one area can be very different to that of another one. There are many suburbs, where there are good neighbourhood watch teams and reliable alarm response service, good amenities and safe family living possible without the need to stay in an estate. This said, burglaries and break-ins can happen everywhere, as everywhere in the world too. Here are our favourite suburbs ones: Tamboerskloof, Oranjezicht, Flamingo Vlei, Milnerton, Eden on the Bay/Big Bay, Panorama, Everdal, Hout Bay, Camps Bay, Llandudno (the latter ones with a hefty price tag). How to find the perfect home? Read our house-hunting tips here. There are many excellent and safe Cape Town housing areas which will offer everything you as an expatriate will expect from your new home. We always recommend that you should try to find a home which is close to school and work and most importantly, where you can feel at home, where you feel safe and at ease. So have a good look at the housing market and decide for yourself which area suits you best. Never get pressured into buying or renting before it feels right for you! Regarding expat amenities and shopping facilities we can tell you that in many of the more upmarket suburbs you are likely to meet other expatriate residents and will find all the amenities you will need for daily life. In many areas you will find good health centers and sometimes even private hospitals, often there are private schools and many shopping centers cater also for the expat’s needs with specialist stores. Activity and sports centers for the children are usually located in these suburbs too. Need a more thorough housing guide for South Africa? Get our book! If you like our info, but still would like to read more facts and get further useful tips on relocation to South Africa, make sure you buy our expat guide e-book with updated information and lots of resources to help you during your settling-in process in South Africa.